Chung-Ho, Taiwan and Reykjavik, Iceland – 27 March, 2009 – Albatron Technology has announced today that the current series of NVIDIA VGA Cards will bundle the epic MMORPG, EVE Online, one of the most popular action-strategy online games available worldwide. Albatron aims to add significant value to their VGA products by featuring this internationally acclaimed interstellar adventure developed by world renowned CCP of Iceland. Brilliant nebulas, endless asteroid belts and celestial planets within the vastness of empty space are the backdrop to a galactic conflict between empires and independent warring factions as they vie for territory, wealth and power. Build your own fleet of customized ships with superb detail and exquisite variety to patrol space, fully loaded with sophisticated weaponry and the ability to leap stars with a breathtaking „warp“ technology. You can easily maneuver your perspective on the 3D landscape by dragging and pulling your mouse in any direction. It’s simply nothing short of amazing. EVE Online boasts over a quarter of a million subscribers from around the world all playing on a single server. Players join empires, form alliances, mine for resources, trade commodities and of course, go to war. The EVE website (www.eveonline.com) provides full support for its burgeoning user community with free expansions, frequent updates, user forums, tournament announcements, knowledge base, trailers and more. 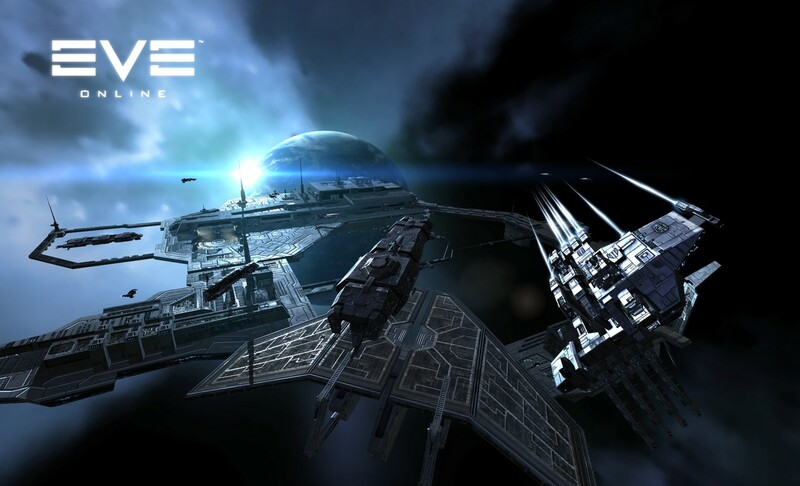 EVE Online Bundle & NVIDIA Graphics Technology – Playable from all levels. EVE Online is amazingly playable from many levels of NVIDIA VGA cards and can even be played on systems using traditional modems for internet connections. It is a perfect match of outstanding PC gaming software and the most advanced graphics technology available. As such, Albatron will be able to bundle EVE with VGA cards as far down the product line as the 9400GT. Each bundled DVD will include the game client and a unique CD key. MMORPG games are based on a monthly subscription and, with this bundle, consumers will receive a one month subscription with a value of approximately $14.95. Albatron VGA cards and EVE Online – Try it, you will like it. There is nothing that comes close to EVE Online as far galactic-interstellar MMORPGs. It is a futuristic adventure like nothing you’ve seen before, rife with both action and strategy. It will be bundled with most Albatron NVIDIA VGA cards allowing you to download the entire game in minutes. Take a look at the awesome trailers on the DVD, try the game and you’ll be hooked.